I was sent out an essential carry case of my choice recently and I am really liking how durable it is. 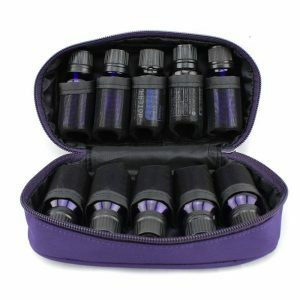 I have seen other essential oil cases on the market but they all seem to be so over priced. 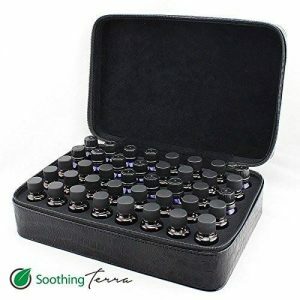 Soothing Terra has the best prices for these cases that I have seen so far. The case is really nice looking and well made and also has a pocket inside for your cards. The material is easy to clean, I found that out after spilling sauce on it. It wiped off easily with a rag and hot water. 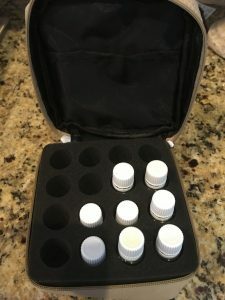 It has a handle and from the picture you can see it has the insert that holds all your bottles separately.